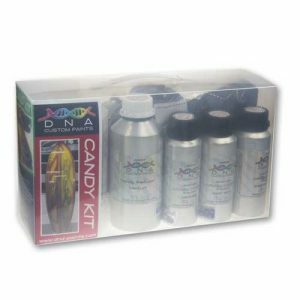 View cart “Candy ColorZ Kit” has been added to your cart. 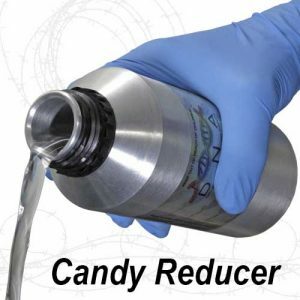 Candy Basecoats are a special effects basecoat, designed to replicate the visual depth and appeal of traditional candies, but using the standard application methods of a traditional metallic basecoat. 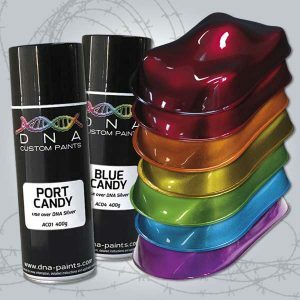 Designed to be used over a solid white ground coat, DNA™ Candy Basecoats are an economical alternative to traditional candies whilst still delivering maximum visual impact. Candy basecoats require a white primer or a white ground coat before application of the Candy Basecoat. 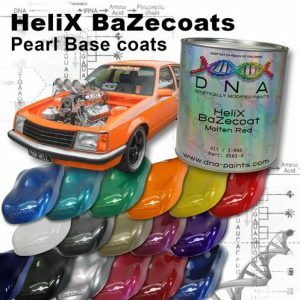 *The use of any reducer other than DNA basecoat reducer can lead to problems such as de-lamination, drying problems, poor colour replication and appearance. Candy Basecoats require a white primer or a white ground coat before application of the Candy Basecoat. 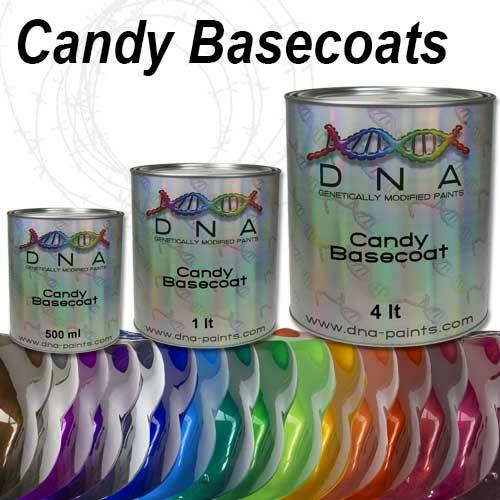 However for the darker colors of Candy Basecoats or for a different effect you may choose to apply Candy Basecoat over an alternative ground coat color of your choice.